ACardiovascular health is among the most important priorities when it comes to our general health. The Centers for Disease Control (CDC) report that heart disease is the top killer among men and women in the United States, leading to mortality among nearly 610,000 every year. 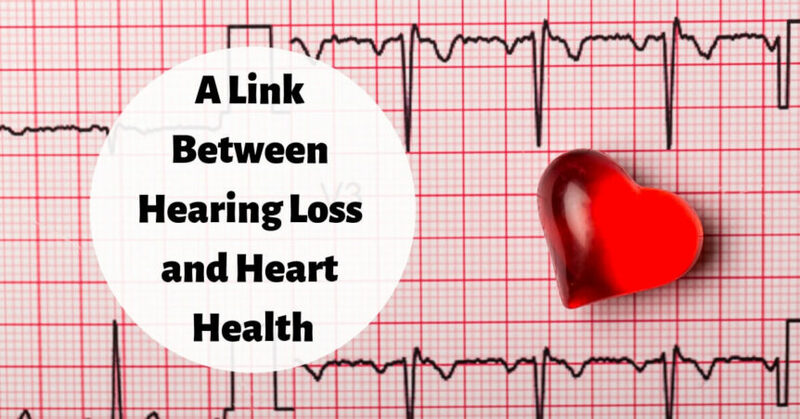 New research suggests that there is also a link between hearing loss and heart health. Although heart disease can lead to death in the worst case, other health concerns are associated with poor cardiovascular health, as well. The structure and vessels of the heart can become weakened or blocked, resulting in chest pain, a heart attack, or stroke. Other cardiovascular health problems can affect the rhythm of the heart muscle or problems with the opening and closing of valves. Of these many problems with the cardiovascular system, one might wonder what can be done to prevent heard disease and other devastating conditions. Fortunately, a heart-healthy diet and exercise have a strong positive effect on the heart and blood vessels, making it possible to stem the tide of heart disease. Although poor cardiovascular health is a major risk in its own right, the heart and blood vessels are also connected to the rest of the body. A link between two seemingly unrelated parts of the body—the heart and the ears—has been established in the medical literature, as well. How exactly does this connection work, and how do we know that there is a relationship? The following studies pointed out the connection between the heart and the ears with important results for your future hearing. How are Hearing and Your Heart Connected? The connection between the ears and the heart rests in the necessity for the cochlea to have oxygen-rich blood in constant supply. The cochlea include tiny, super-sensitive hairs that pick up vibrations and air pressure, translating those subtle pressure differences into electrical impulses that can be passed along to the brain. When the cochlea is fully operational, it draws on oxygen-rich blood sent from the heart to maintain sensitivity to sound. However, when the heart is not healthy, the ears may be deprived of that essential oxygenated compound that makes hearing possible. Without ample rich blood coming to the ears, they can fail to pick up on sound, and the cochlea may be irreparably damaged with a condition called sensorineural hearing loss. Two recent studies have been cited as evidence for the connection between heart health and the ability of the ears to hear. First, a study at Miami University investigated the hearing ability and heart health of 102 non-smoking research subjects. They were asked to run on a treadmill, and their fitness levels were tracked. These research subjects were also administered a hearing test. The result of the test found that those with better cardiovascular fitness also had better hearing, particularly among those 50 years of age and older. Another study used metadata to correlate cardiovascular fitness and the presence of triglycerides. 1,070 participants 30 years of age and older demonstrated that fitness was correlated with lower levels of triglycerides in the bloodstream. High triglyceride levels were associated with hearing loss in another study, forming the link between fitness and hearing. Improving Your Cardiovascular – and Auditory – Health! With this knowledge about the relationship between hearing and heart health, a few steps can be put in place to not only improve your cardiovascular fitness but also to possibly help preserve some of your hearing ability. Physical fitness is key, especially aerobic exercise. Raising your heart rate for at least 20 minutes several times a week is a way to gradually build the strength of your heart muscle. When your heart is worked to a reasonable limit, it becomes resilient to strain and is better able to withstand the demands of physical exertion. The other key to cardiovascular health is a healthy diet. Fresh fruits and vegetables are classic sources of fiber, vitamins, and nutrients that cannot be found in heavily processed foods. Limiting saturated fats and sodium will go a long way toward your heart health, as well. Don’t hesitate to contact your doctor for more advice on building up cardiovascular fitness, particularly if you have a family history of heart disease. Fitness can be fun, too. Hopping on a bicycle or going for a swim are enjoyable ways to strengthen your heart muscle while also enjoying an active lifestyle. At Neighborhood Hearing Aid Center, our specialty is hearing health, and we believe that treating hearing loss is an important part of your overall well-being. We provide comprehensive hearing tests and hearing aid fittings, and we are here to support you in your journey to better hearing health. Contact us today to schedule an appointment!